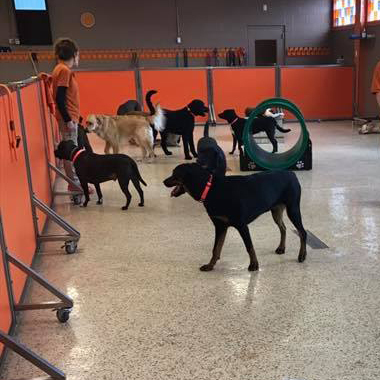 Our beautiful tall dog gates and problem solving pet relief stations are great for busy doggie daycares. 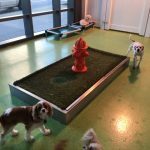 Find out why doggie day care centers, boarding facilities, training centers and pet groomers use our colorful Starlite kennel room dividers to create stylish, pet-safe areas. Our tall dog gates can be your perfect room dividers for these reasons. The wall panel is made of FDA-approved HDPE (high density polyethylene) similar to cutting board material. It stands up to anything active dogs can dish out because it resists scratches, moisture, stains, odors and cleaning chemicals. Each wall panel is set inside a hand-welded, heavy-duty, stainless steel frame; the most durable frame available. With its rolling/locking wheels, you can easily move this room divider anywhere you like. And to complement your setting, you can choose from 4 elegant Starlite panel colors: blue, green, clay, and red. Available in standard 4’H x 6’W panels or customized sizes to fit your needs. 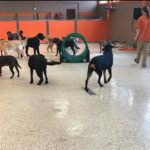 Not sure which dog day care equipment is best for your facility? 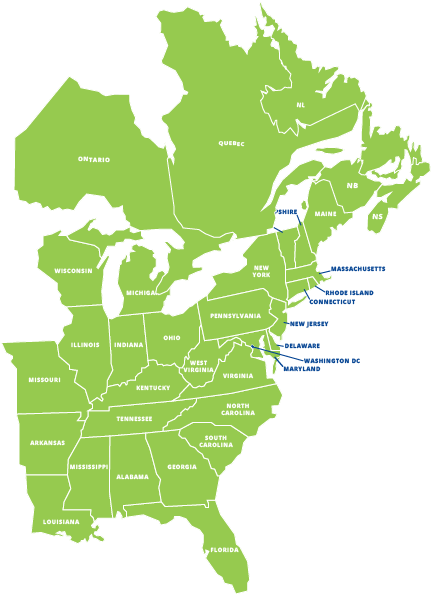 Contact us now for a free personal consultation at 877-459-7827 or sales@directanimal.com.